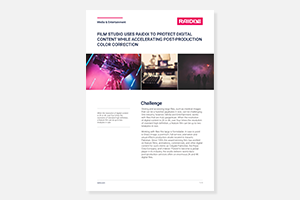 For handling parallel 2K-video streams and efficient processing of video content from multiple workstations with the use of Nucoda software, the color grading studio Colorkitchen required a high performance and reliable data storage system. The customer’s specification encompassed functional and business requirements. 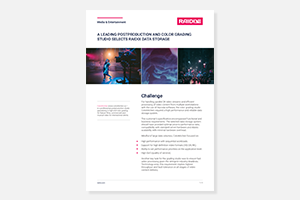 Sharp Image installed the RAIDIX software on a high-density chassis from SuperMicro provisioned with 24 4Tb SATA drives for 96 terabytes of capacity. 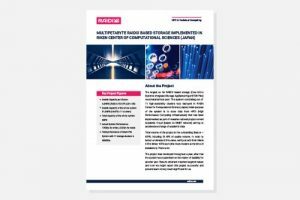 Because the RAIDIX software provides RAID capabilities, Sharp Image economized by using commodity hardware rather than buying a pricey RAID array. The largest so far RAIDIX based storage (Core Micro Systems Integrated Storage Appliance/HyperSTOR Flex) was installed last year. The system consisting out of 11 high-availability clusters was deployed in RIKEN Center for Computational Science (Japan). Gwangmyeong is a city in Gyeonggi Province, Seoul Metropolitan area, South Korea. The city houses a population of just under 500,000 people, boasts a highly developed urban infrastructure, transport system and retail/wholesale facilities including the world’s largest IKEA store (59,000 square meters). 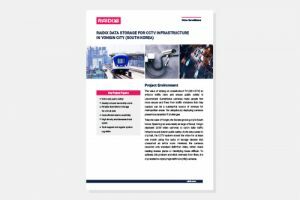 Surveillance cameras make people feel more secure and fines from traffic violations that they capture can be a substantial source of revenue for metropolitan areas. Yet ubiquitously deploying cameras presents substantial IT challenges. 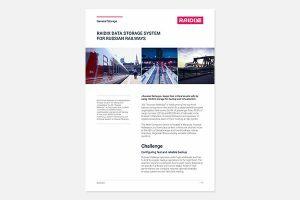 RAIDIX has delivered an integrated data storage solution for backup and virtualization to JSC “Russian Railways”. Active project-flow involved 12 months of implementation, customization and personnel training. 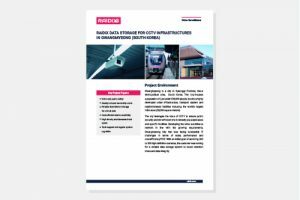 At this point, RAIDIX provides continuous system maintenance and technical support to Russian Railways.